We welcome this opportunity to introduce our firm and offer our services. 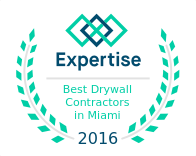 Drywall Contractors has been in the Drywall construction industry in South Florida for over 35 years. We provide complete build out, Drywall and Construction services, specializing in interior build outs. Drywall Contractors staff is qualified in Historical restorations, commercial construction, tenant build outs, housing projects, apartments buildings, hotels, home renovations, Chinese Drywall Remediation, mold remediation, and maintenance. Our management and experienced personnel will ensure that you receive the finest quality construction work. To help familiarize with our firm, we have prepared a list of some completed projects in different aspects of construction. We believe that these projects highlight some of the more iconic projects completed by our firm.